Signed and dated l.r. within image, black ink "M. PRESTON/ - 52". Margaret Preston: the art of constant rearrangement , Ringwood, 1985, 67 (colour illus. ), 93. cat.no. P.67 Note that this publication refers to this print as "Banksia". 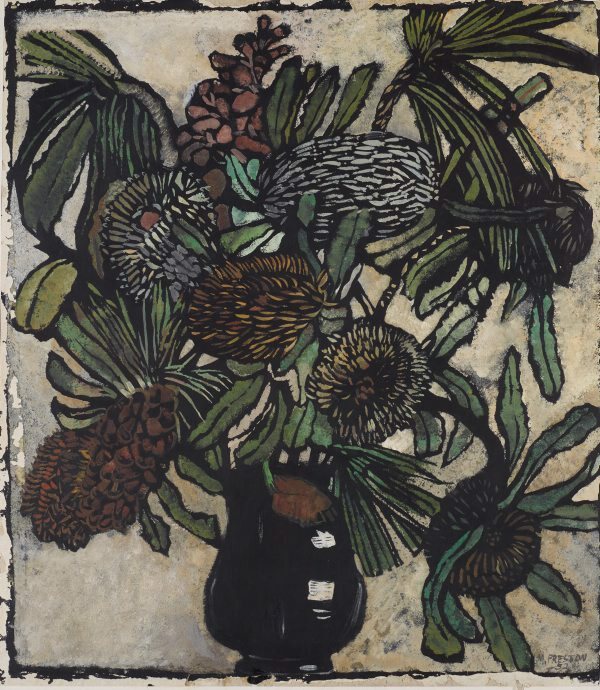 Deborah Edwards, Australian art: in the Art Gallery of New South Wales , 'Moderns', pg. 103-104, Sydney, 2000, 122 (colour illus. ), 301.